It’s National Ag Day! The Stockyards Ag Experience is proud to celebrate all that ag brings to our region. 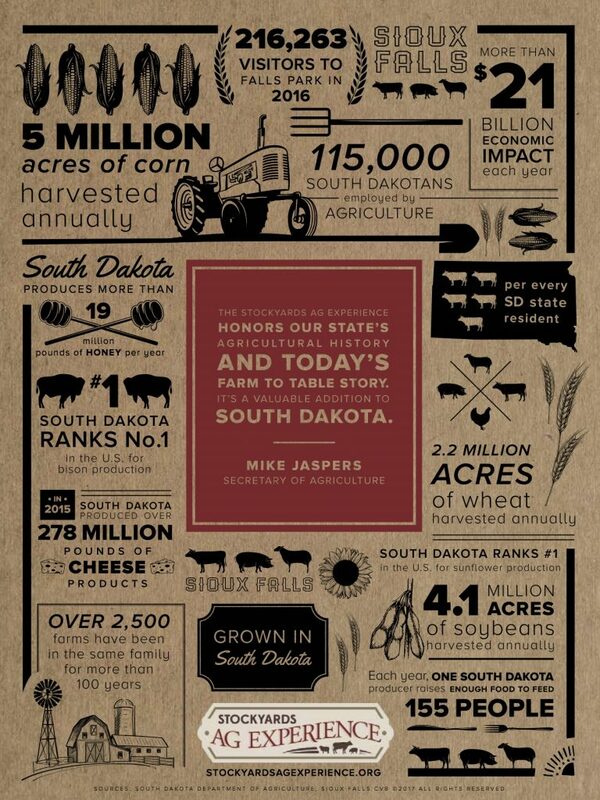 Here are a few fun ag facts for you. Visit the Stockyards Ag Experience Barn at Falls Park to learn more about farming and food.